Summer of Discovery: Outer Space/Inner Space Kickoff Party! Join us for space-themed storytime and a party to celebrate reading! 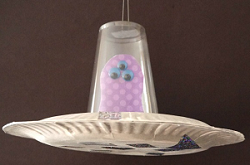 Sign up for Summer of Discovery and then design and create your own alien spaceship--complete with alien!